Three-Toed Horse, Parahippus Images and Information. Parahippus leonensis was a three-toed horse species that was about the size of a medium dog and a relative of the modern horse. This small prehistoric horse was estimated to have had an average lifespan of 9 years and weighing in at 160lbs. (72.5kg). 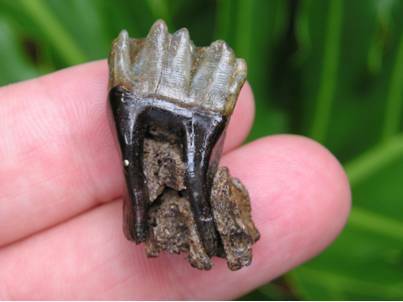 It dates back 18-19 Million Years ago (Middle Hemingfordian) and is from the early Miocene Period of Florida. Parahippus means “side horse”. They had three toes and the side toes were less prominent. 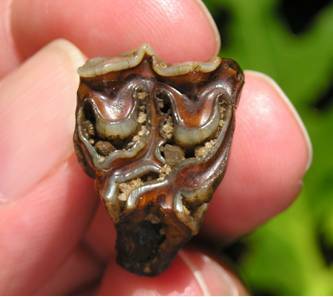 Of the prehistoric horses in North America, a number of these horse fossils have been found in Florida's Miocene Deposits. 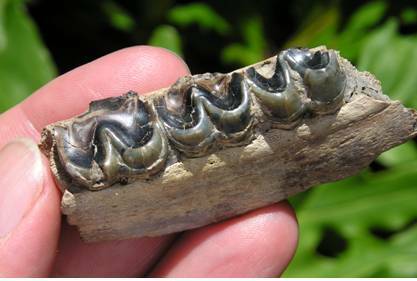 It is one of the many Miocene land mammals of Florida and was common food for the Bear-Dog carnivores. A primitive horse with medium height teeth, it was a low-crowned browser. 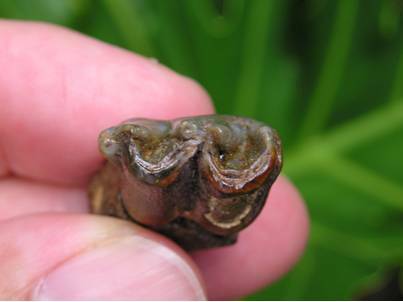 This prehistoric horse would eat a wide range of grasses and leaves. 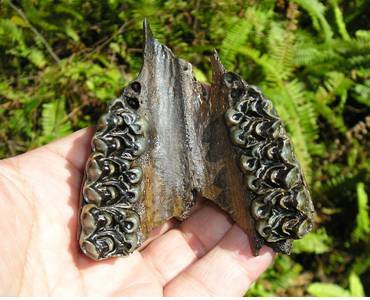 Parahippus leonensis is the most commonly found horse fossil at the Thomas Farm Miocene site, in Florida, and may be the missing link between the Prehistoric Forest Horse and the modern plains-dwelling horses. One of the many prehistoric horses in Florida. 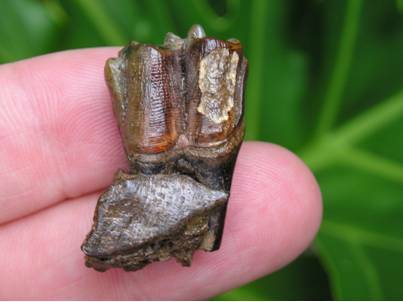 Three-Toed Prehistoric Horses go extinct about 2.1 Million Years ago.